Features: Float airbags system integrated, easy-to-access, organized main compartment without removing straps or buckles, diagonal ski carry, exterior axe and pole storage, comfort padded shoulder straps. If you ski in the backcountry, you should strongly consider wearing an avalanche airbag. It is by no means a replacement for your beacon, probe, or shovel, not to mention your brain. But should you get caught in a slide, the airbag can help prevent you from getting buried (though there’s still no guarantee it will save your life). A report issued by the Swiss Institute for Snow and Avalanche Research in 2014 says an inflated airbag will reduce the chances of mortality among avalanche victims by one half. For every 100 victims who did not wear an airbag, 22 percent were killed. When considering 100 victims who were protected by an inflated airbag, 11 percent were killed. Airbags have been around since the 1980s, but by early to mid 2000s, they were still expensive and heavy, without much room to pack any other gear. 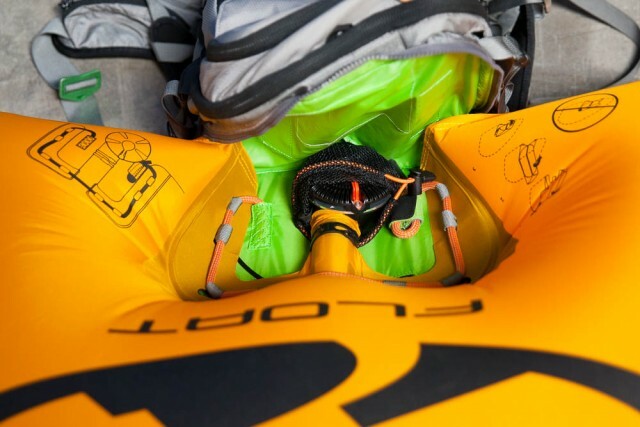 Today, though, the options are many from ABS, Mammut, Black Diamond, and Backcountry Access and K2, which both carry airbags integrated with the BCA Float system that are user-friendly and several hundred dollars cheaper than other airbags. A well-thought-out design gives the K2 Float 15 plenty of space to fit the gear you'd need on a day tour. A thick zipper with three sliders (each with big pull-loops) accesses the main pocket, where the compressed air cylinder attaches to the airbag. Inside the main compartment, which is big enough to stash a shell, puffy, gloves, and lunch, K2 built a smaller pocket to keep the air cylinder separated from the rest of your gear. Two mesh pockets hold smaller accessories like keys and a notebook. 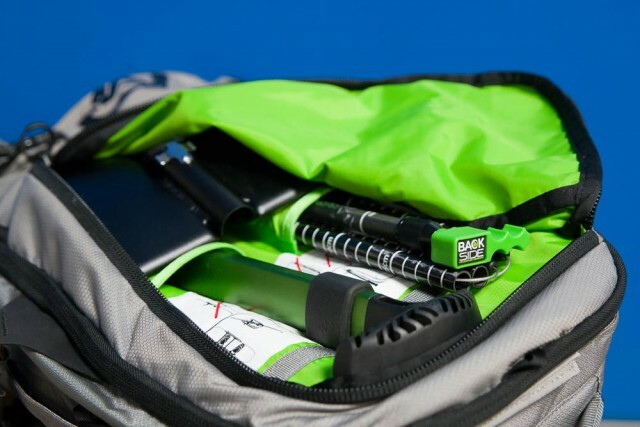 The pack also comes with a removable lunch bag (large enough for a PB&J and an apple) that attaches to two large strips of Velcro inside the main compartment. A separate front pocket was built specifically with easy access to carry your shovel, probe, and skins. A small hole in the bottom of that pocket lets moisture run out, and also doubles as ice-axe storage. The K2 Float 15 lets you carry skis diagonally or vertically. It also features a fleece-lined goggle pocket, a mesh strap to stow your helmet, a pocket on the waist belt, and an ergonomic EVA back panel. The fit was long, took up the length of my back, from the top of my hips to my shoulders, and felt snug. It distributed weight evenly, and was comfortable to move and ski in. Initially, I had wanted the 30-liter version, but after skiing with the 15 liter, I realized I didn't need the bigger pack. The 15-liter gave me all the space I needed and kept the weight down. And if the worst ever happened, the handle to deploy the airbag is right where I need it—right next to my left shoulder. Skiing Hot: An avalanche airbag for $550. Skiing Not: There's an insulated hydration sleeve. But it doesn't work when the airbag system is attached. And there's no other designated space for a water bottle.